Your child is growing to be more social and more inquisitive. Through daycare, playgroups, and outings to the local library and friend’s birthday parties, he’s likely meeting a lot of new faces. As the diversity of people in his life grows, he’ll undoubtedly notice some of the differences amongst the variety of people in his world. 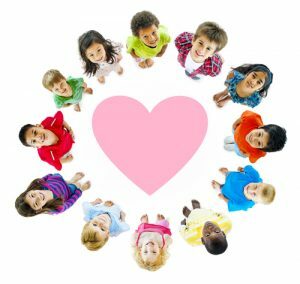 Our ten tips for teaching your young child to embrace diversity will enrich his experiences and build his aptitude for kindness. 1. Be supportive of questions. Does your child have a question about the headscarf of a woman she saw at the grocery store? Did she make a new friend, and is curious about the color of that friend’s skin? Don’t shut down these types of questions. Curiosity is natural, and giving upbeat and honest answers to your child’s questions will only increase her understanding of the world around her. 2. Be honest. When you do answer your children’s questions, be truthful. If they have seen or heard something that confuses or upsets them on the television or even in real life, giving them a quick, honest answer, in simple terms will alleviate their confusion. It also may pave the way for a larger conversation about kindness and acceptance. 3. Examine your own beliefs. Remember to take a good look at the way you speak around your children, the way you treat other people, and the way you interact with the world around you. Being respectful of cultural differences is an excellent trait to model for your children. 4. Be consistent in your stance against intolerance. Has your child witnessed behavior outside the home that seemed intolerant? Explain to her the reasons why that behavior was wrong and should not be a model for her. If you see similar types of behavior displayed in your home by relatives or friends, put a quick stop to it. 5. Be mindful of what you watch on television. Choosing television shows that feature characters of different races and backgrounds can be a great way to bring a hint of diversity into your living room. 6. Read books that celebrate multiculturalism. 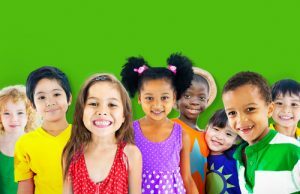 The books Children Just Like Me, The Skin You Live In, and It’s OK To Be Different, are fun, kid-appropriate reads that will introduce your child to different skin colors, races, ethnicities, and cultural backgrounds. Talk to your daycare provider about which books they recommend for even more reading. 7. What opportunities are available in your community to learn about different cultures? From museum exhibitions to culinary festivals, celebrations of diversity can be a great way to get your kids to taste new foods, admire different kinds of art, and explore new cultures. 8. How about a pen pal? Sure, communicating with a new friend from a different part of the world will expose your child to some very key and very interesting differences, but will also show him some real similarities as well, as, no matter what culture a child is from, a kid is still a kid! Kid World Citizen is a great program to explore. 9. Introduce your child to some new holidays. The Indian festival of Holi celebrates spring by enticing participants todouse one another with multicolored powders. Chinese New Year celebrations can be punctuated by fun parades and great food. Putting a few more holidays on your calendar can be an enriching experience. 10. Pick up a globe or an atlas. Take an opportunity to show your child where his ancestors hail from, and talk to him about the other countries on the map as well. What is the weather like in Nigeria? What do kids eat for dinner in Japan? Can you share with us a story about how you helped to teach your child to embrace diversity? Let us know in the comments section!